I made this a year or two ago. It hangs in my kitchen above the kettle, thus the steam-curled edges. 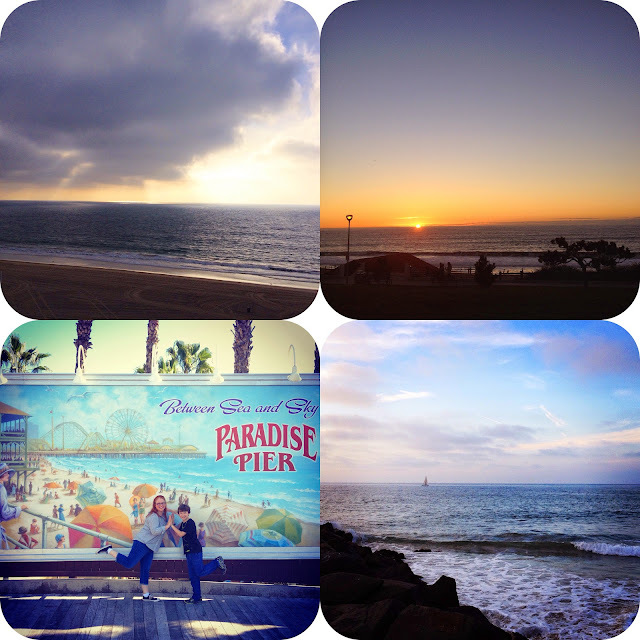 During my month long holiday to America in February, I went to the beach almost every single day, if only to do a quick parking job by the strand to watch the sunset over the Pacific Ocean. 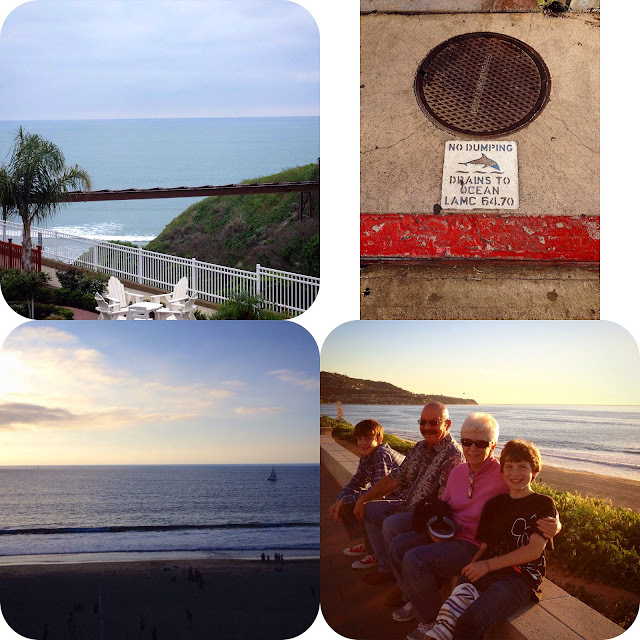 When we lived in the Los Angeles area, we went to the beach on a regular basis. Generally it was at the end of the work and school day, and we'd pick up sandwiches or a bucket of fried chicken before making our way to the sand with a big blanket. We'd eat, and then the kids would run around and make all the noise they wanted. It was the perfect way to let them burn off some energy while we adults enjoyed the tranquility that only a beachy sunset can provide. I also had a routine where I'd drop the boys at school and then walk a mile or two along the sea, just high enough on the shore to not get my sneakers wet, but close enough that my glasses would be opaque, soaked with salty spray. I loved it. I always marvel at people who'd buy houses within a mile of the ocean but never actually go there. I remember telling someone about my near daily walks and hearing them say it had been several years since they'd even driven past the ocean, let alone put their toes in the sand. This actually made me sad, for I find it to be a place of peace, joy, energy, and solace, all for the cost of a few quarters in the parking meter. Or free, if you can figure out which day you're allowed to park on which street without getting a citation. When I told people that I was going to go to the beach every single day of this holiday, they thought it was in jest, even my own kids. Oh no. Not at all. 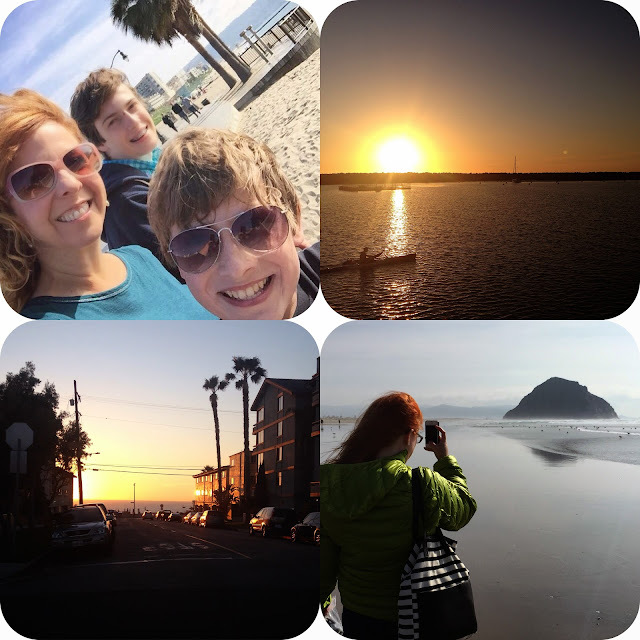 In fact, upon arrival at LAX airport bright and early on February 1st, the order of things was this: pick up rental car, pick up SIM card for my mobile phone, drive to In-N-Out Burger, drive to the beach, soak up the sun with my sons on the sand. We ran into my bestie Jenny at In-N-Out Burger (she was visiting L.A., and running into her was a huge awesome surprise!) and she and her family joined us at the beach! That rocked. Funny story: when we pulled up to the beach on the day of our arrival, I had all our luggage in the car and asked the boys if they wanted to change into their swimsuits. It was 82 degrees after all. Both declined and said they would not go in the water. But when we got to the sand, Benjamin pulled off his shoes and socks and then ran straight into the surf fully clothed, not even slowing down when he hit the water. Such is the call of the ocean! 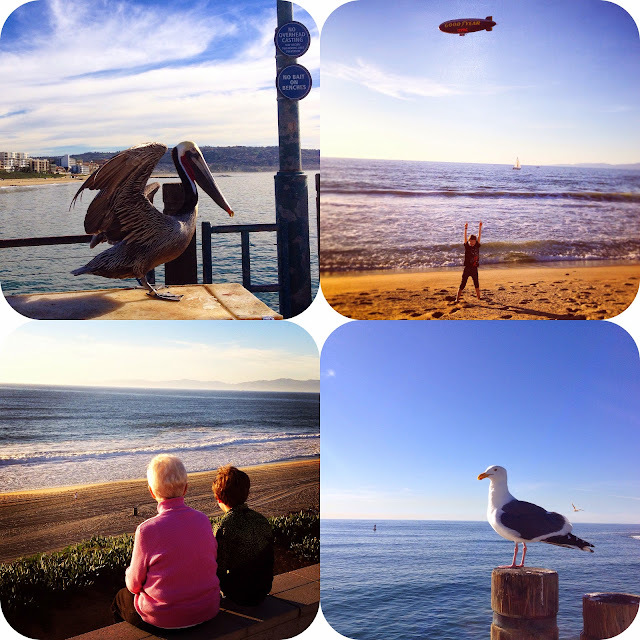 I took photos and posted them to Instagram each day, the collection of which you can see here. 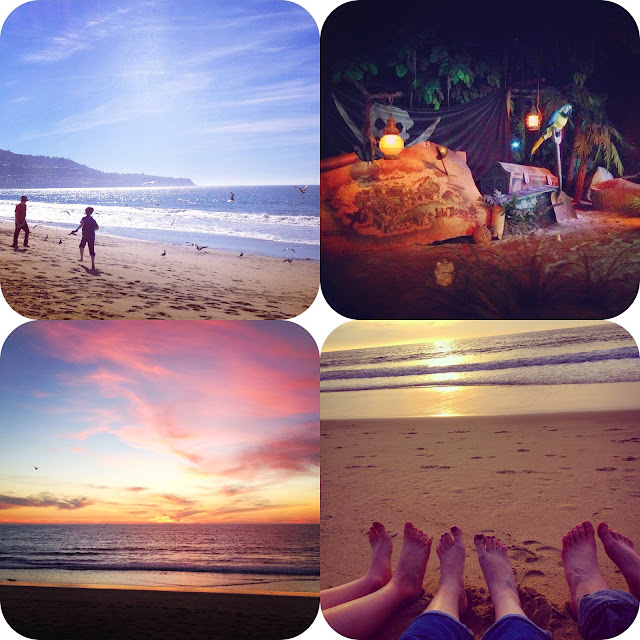 On the days we didn't go, we were at Disneyland, so I got creative with my "beach" pic posts. Can you spot them above? One of my favorite quotes is the one at the top of this post, which hangs in my kitchen. 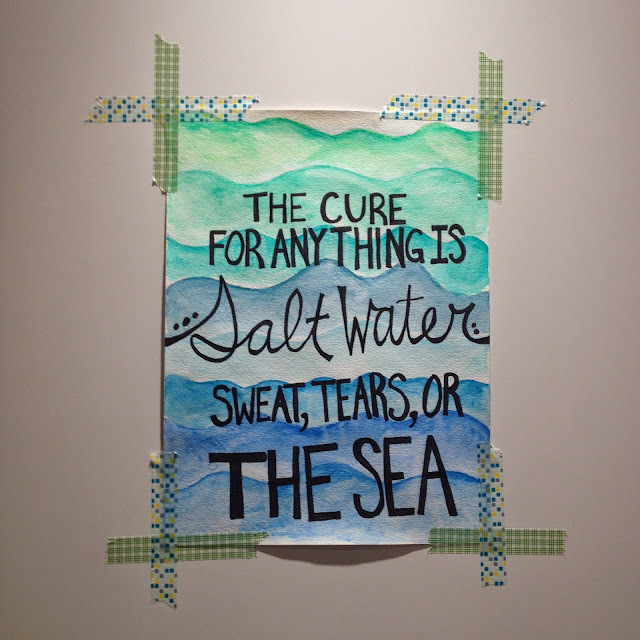 The cure for anything is saltwater- sweat, tears, or the sea. I do believe that with all my heart. 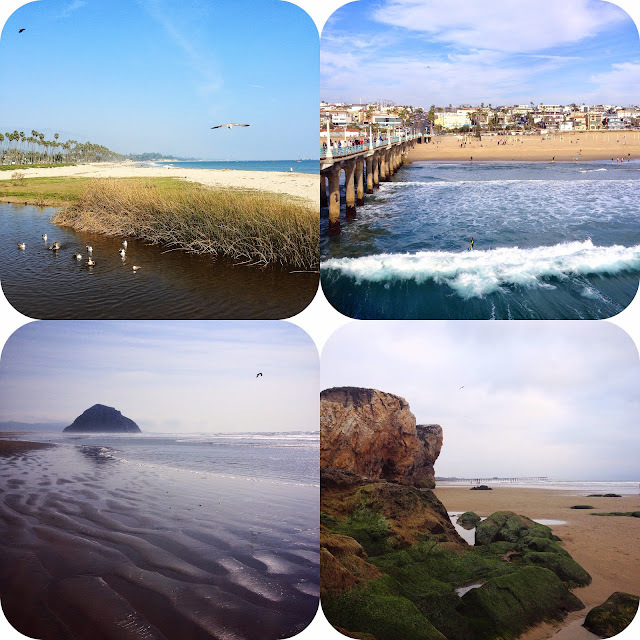 And this month of seaside saltwater up and down the California coast cured so much that was swirling inside me, threatening to overcome. 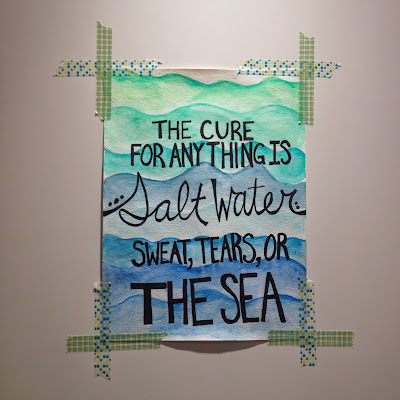 And thanks to my collection of daily photos, I'll have plenty of my saltwater "cure" to ponder for a long, long time. The day we arrived in America. Some people have been known to kiss the ground. 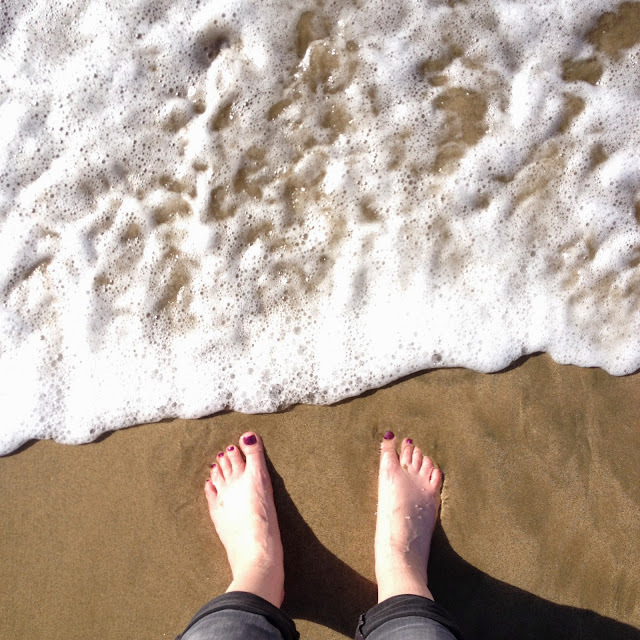 I just let my feet kiss the surf. I loved your daily beach photos. I wonder if the sentiment is the same for those who did not grow up near the ocean. I love the beach and find it very soothing to the soul. But I do know some here on the east coast who do not feel the same. The beaches out here are not the same, but we still make trips out there each summer. I love seeing the pictures all in one place! Beautiful!